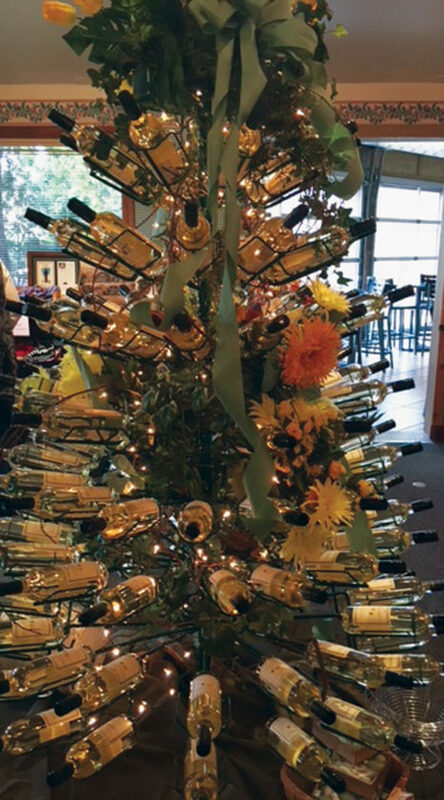 Photo by Amy Phelps A wine tree is shown. DOVER, OHIO — Nestled in the heart of Ohio’s Amish Country is something many people may not know exists amid the bakeries and cheesehouses – wineries. 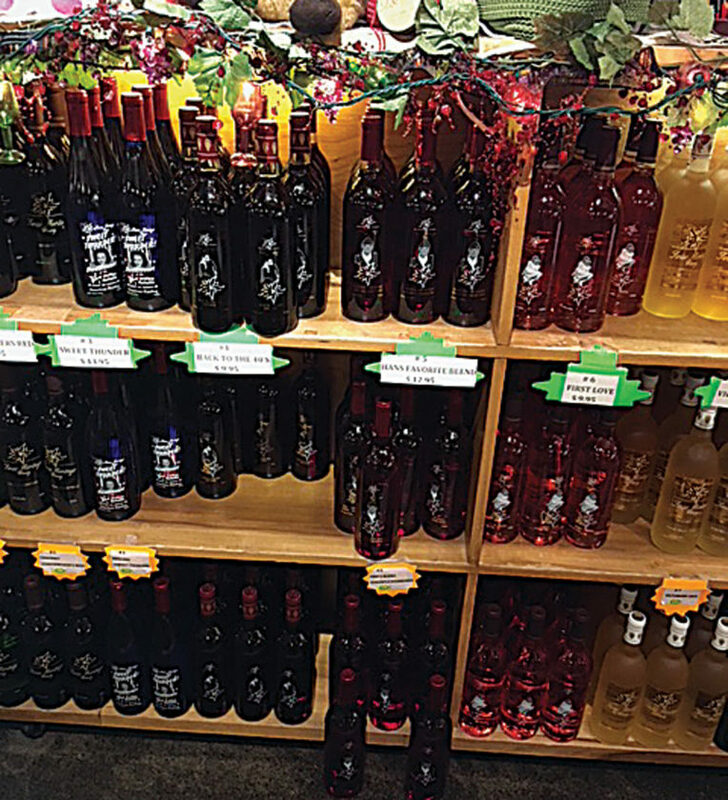 The local wineries offer unique flavors and seasonal products for visitors to enjoy and take home. 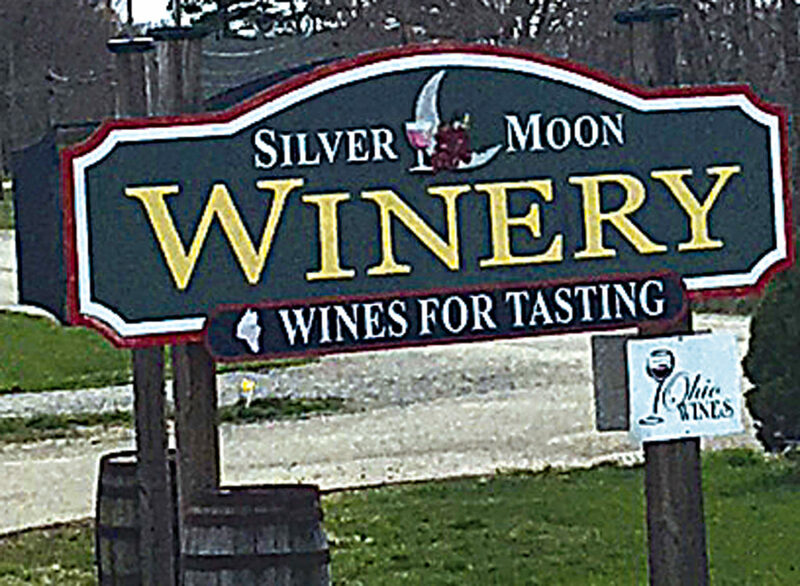 Silver Moon Winery in Dover, Ohio, has more than 35 wines available in their store and their tasting room offers a chance to sample most of them. 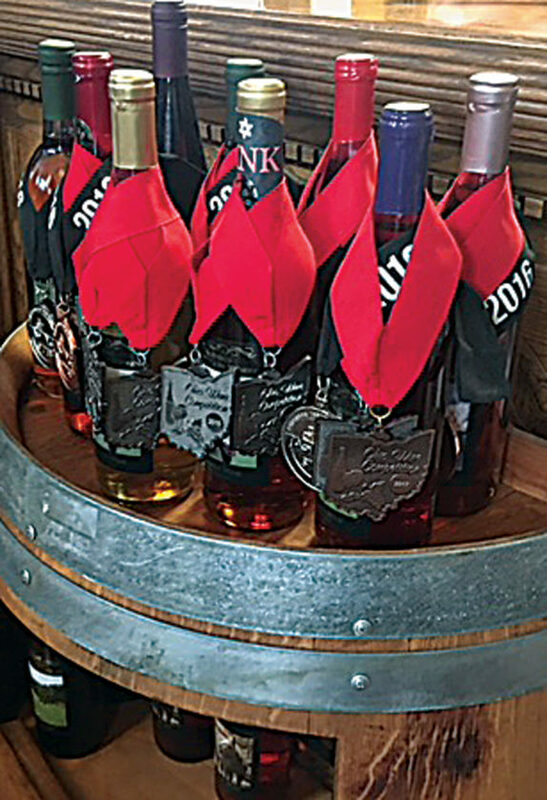 “About 80 percent of are sales are sweet wines,” Melissa Wigfield, tasting room manager said. While they carry a variety of them all year round, their seasonal products are something customers enjoy and frequently sell out. In early winter, the Pomegranate Red wine was a big seller. “People love it,” Wigfield said. Spring brings the Calypso White, a pineapple banana sweet white wine, followed by a Watermelon Blush in late spring and summer. “That one sells out quickly,” she said. Eve’s Delight, a white cranberry green apple infused wine, is very popular for late summer and early fall, and a seasonal favorite around the holidays is Cranberry Red. 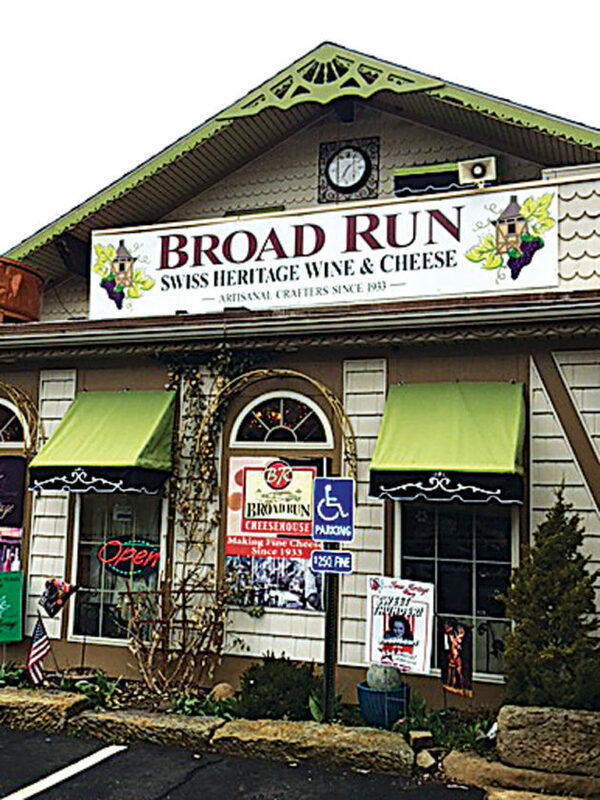 Photo by Amy Phelps Broad Run Swiss Heritage Wine and Cheese is looking to expand this summer. The winery also offers dry whites and reds, and dessert wines. Wigfield said the dessert wines are also very popular. “I think people get surprised by them,” she said. Their dessert wines also have some seasonal takes, such as Pumpkin Spice Dream. The winery offers a tasting special, 6 tastes of wines the customer chooses for $3.99 plus tax, that comes with a special commemorative logo glass. 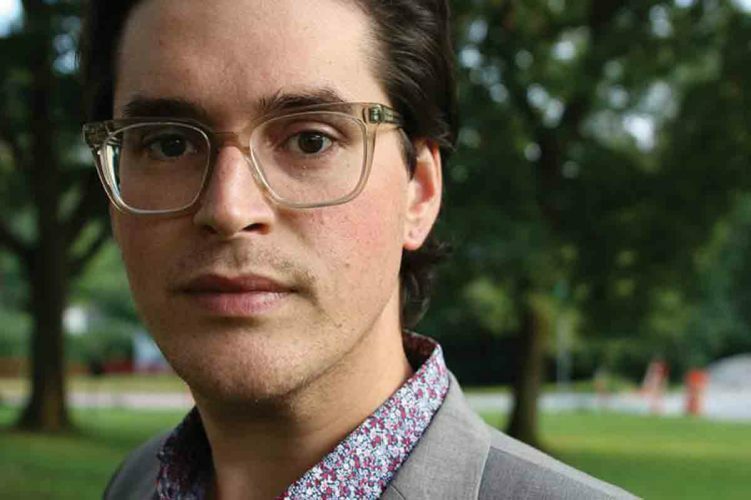 “People love that they can take that souvenir home,” Wigfield said. Another special the winery offers is free shipping to Ohio residents on orders of 6 and 12 bottles. 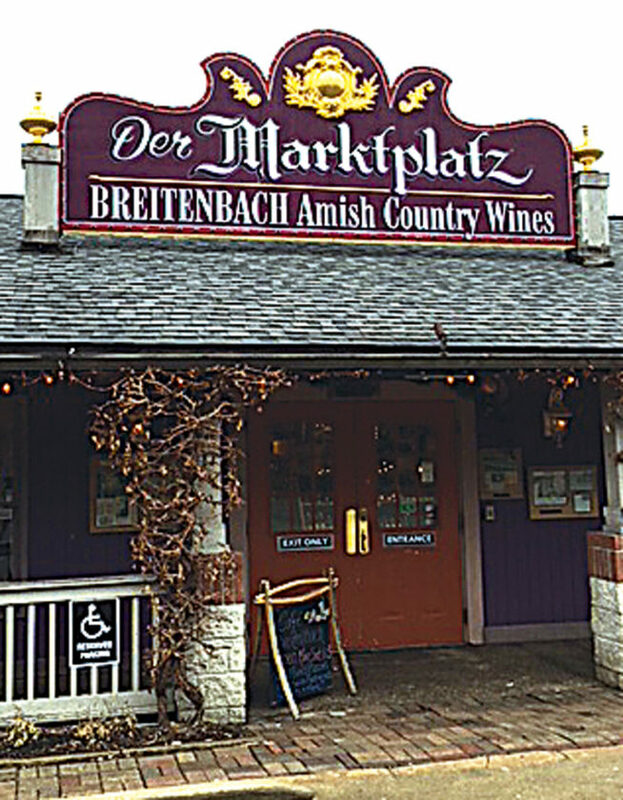 Also in Dover, The Breitenbach Wine Cellars, the second largest winery in Ohio, has 38 kinds of award winning wines for sale and available for tastings. She said the winery is known for their fruit and berry wines, which are made with real fruits. “They are great dessert wines,” she said. On the property site, there is a cafe that sells salads and wood-fired pizzas to enjoy with a glass of wine. The gift shop also sells a variety of meats and cheeses, as well as Amish food products. The winery also offers special events, including music on their patio, a barbecue event and Yoga in the Vineyard on Saturdays from May to October. 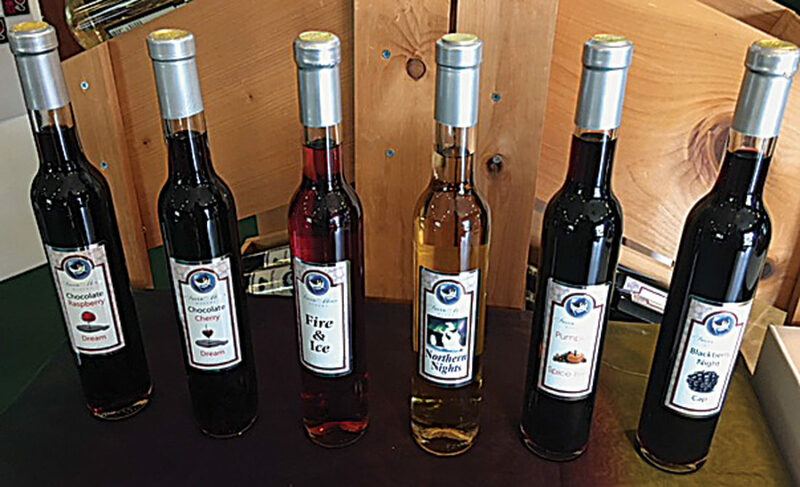 Customers can find both homemade cheese and wine at Broadrun Cheese and Swiss Heritage Winery, also in Dover. Customers can watch cheesemaking happening on site and purchase cheese from the shop, while sampling some of 17 types of wine bottled on site. Photo by Amy Phelps The Silver Moon Winery welcomes customers. Schindler said another popular wine, especially in the summertime, is Coal Miners Daughter, which is a watermelon wine. The grand opening for this new facility is scheduled for June 9. Photo by Amy Phelps Several sampler bottles show popular flavors. As a small boutique winery, they only produce 8 wines, but they are award-winners. “The Raspberry got Best in Show in the fruit category in 2016, and our Gewursteraminer got Best in Show in the white wine category in 2017 and was nominated for Director’s Choice,” she said. Others are Concord, Catawba, Pink Catawba, Blush, Pinot Noir and Strawberry. The Raspberry is hard to keep in stock, she said. All of the wines have pictures of the horses that are on the grounds and are named after them. “We like to incorporate the inn, riding stables and winery,” Guggisberg said. The family produces the fruit on the property to make the wine, which includes 8 acres of grape vines, with about 5000 vines and 500 raspberry bushes. Guggisberg said the atmosphere they offer sets them apart. “We have a nice quality wine we serve, and you can go out back and sit by pond and drink wine, it’s very peaceful and quiet here.” The inn was remodeled this winter and the Guggisbergs are adding another big gazebo and waterfall on the grounds. 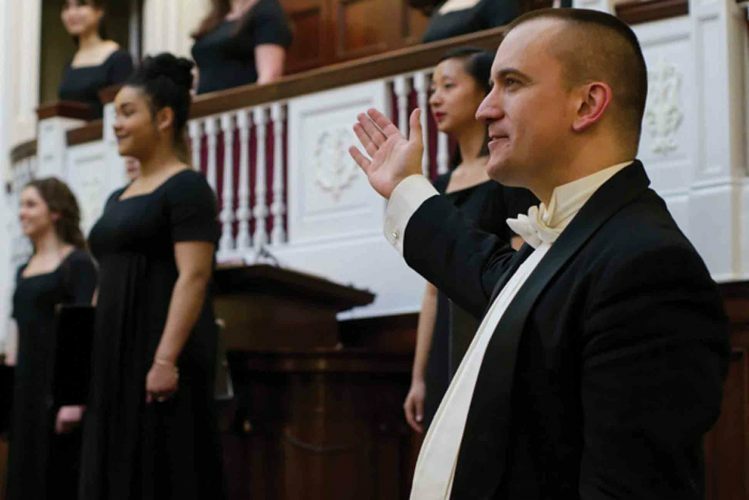 Friday nights, the inn and winery offers live entertainment from April through November with regional singers and musicians. Right off the interstate and 2 miles outside of town in Dover is School House Winery. Located in a one-room schoolhouse built in 1886, the winery combines history with school-themed wines, complete with a ringing bell and a chalkboard. 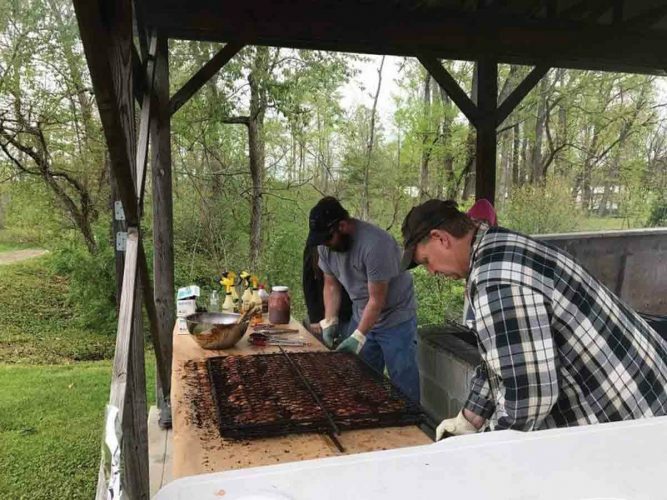 Photo by Amy Phelps Breitenbach Amish Country Wines will hold a Dandelion May Fest on May 4. With a menu of more than 17 wines, the company offers both sweet and dry wines. The most popular fruit wine in the summertime is their lemon wine. “It is made with 100 percent lemon juice, and it’s not too sweet and not too acidic,” Thomas said. As for grape wines, Teacher’s Pet, a concord and niagra grape blend, sells really well. “It’s the wine we use in sangria,” she said. Photo by Amy Phelps The Doughty Glenn Winery has won many awards.